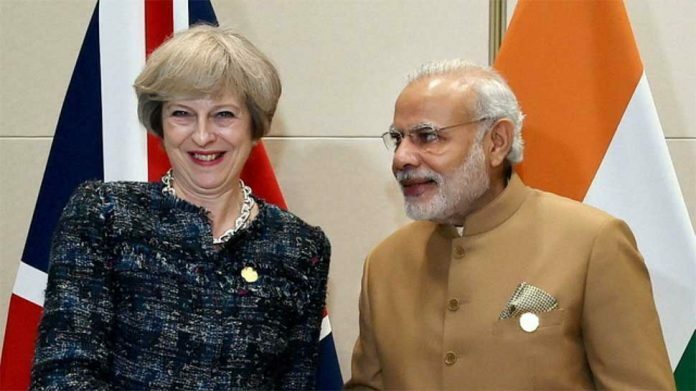 London(PTI): Prime Minister Narendra Modi’s meeting with his British counterpart Theresa May at her Downing Street office earlier this week could have turned chaotic if a pregnant duck nesting in one of the windows had been accidentally disturbed, it has emerged. On Wednesday, before the visiting Indian prime minister arrived at 10 Downing Street for his breakfast meeting with May, the British Prime Minister’s aides had an additional briefing for her keep away from the brooding duck dubbed as “Duckula” to avert a crisis of a non-political nature. She also hosted the leaders of Canada, Australia and New Zealand Justin Trudeau, Malcolm Turnbull and Jacinda Ardern, pregnant with her first child later on Wednesday, who were all reportedly warned to stay away from the bird.